Ruined Shibata Castle in Shibata City, Niigata Pref. Former Niigata Customs House in Niigata City, Niigata Pref. A Ferry Departure at Niigata Seaport, Niigata Pref. Iyahiki Shrine in Yahiki Village, Niigata Pref. Kokujo-ji Temple in Tsubame City, Niigata Pref. Untou-an Temple in Minami-Uonuma City, Niigata Pref. Ruined Kasugayama Castle in Joetsu City, Niigata Pref. Archeological Site "Chojagahara" in Itoigawa City, Niigata Pref. 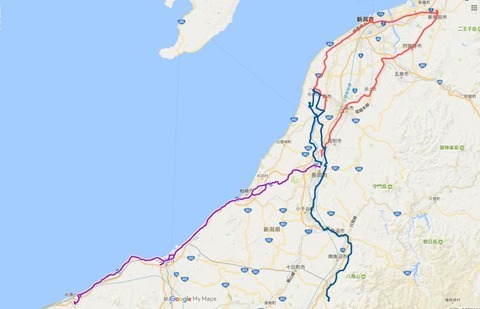 Umataka-Sanjuineba Remains in Nagaoka City, Niigata Pref.